This is a Hard-to-Find Poster. This original lithographic poster, featuring the work of Kerry James Marshall, was designed in 2013 for an exhibition on Los Angeles. Marshall’s work is represented in MoMA’s collection. Printed in the USA. Poster is in very good condition. Comes rolled in a plastic sleeve and shipped in a durable mailing tube for safe delivery. Returns not accepted. Extremely limited quantities. Member and other discounts do not apply. 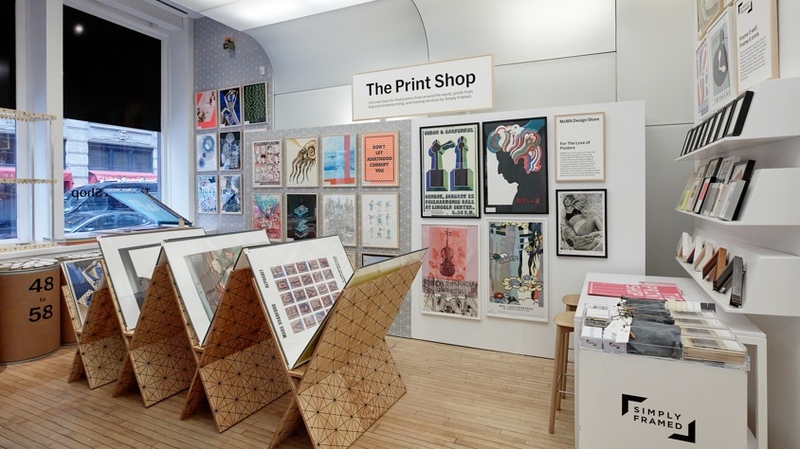 Our latest Pop-Up, The Print Shop, is at MoMA Design Store, Soho and online now through March 25, 2019. The Print Shop is inspired by MoMA's long history of collecting and producing posters, which began shortly after the Museum’s opening in 1929. Discover hard-to-find posters by artists in MoMA's collection and a selection of limited-edition FreshPrints! from legendary Brooklyn-based screenprinters Kayrock. Framing experts from Simply Framed are on hand at our store in Soho to help you select timeless and affordable frames for your posters.